I’ve heard all kinds of excuses for not biking to work. The most common ones are concerns that it is not safe to lock your bike on the street, or you don’t want to get sweaty at work. All those problems are solved with a folding electric bike. Now a full battery charge can cover a distance of a few dozens of miles, and you can store the bike under your desk. So you still can enjoy the freedom of biking without getting sweaty or ruining your suit. Following are some of the best folding electric bikes in the US. After a long wait, Brompton finally announced its first electric bike in 2017. 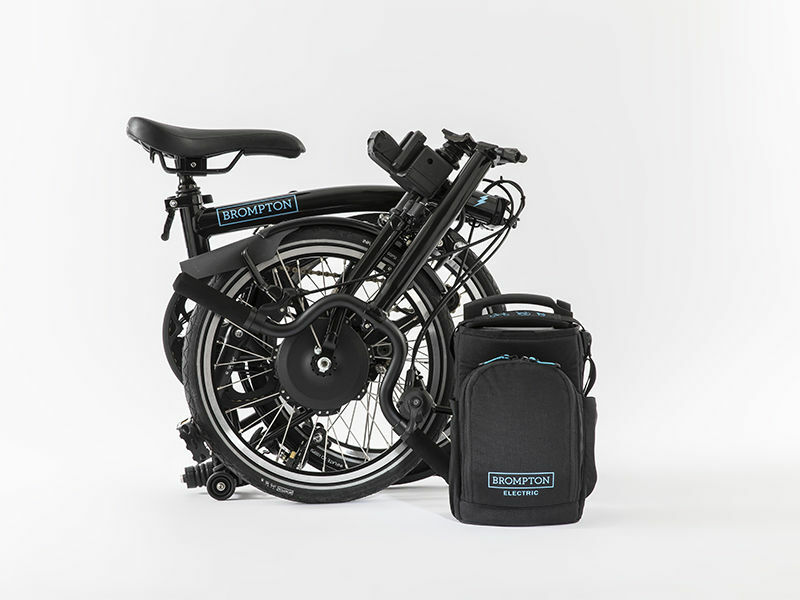 The Brompton electric has the same design and folded size as non-electric Brompton folders. The differences are the motor on the front wheel and a 300Wh battery bag clipped on the front luggage block. These additional parts make the bicycle heavier at 30.2 lbs for the 2-speed version. The bike features contactless bottom bracket torque and cadence sensor to control the assistance level. It has a top speed of 15.5 mph and range of 25-50 miles on a single charge. 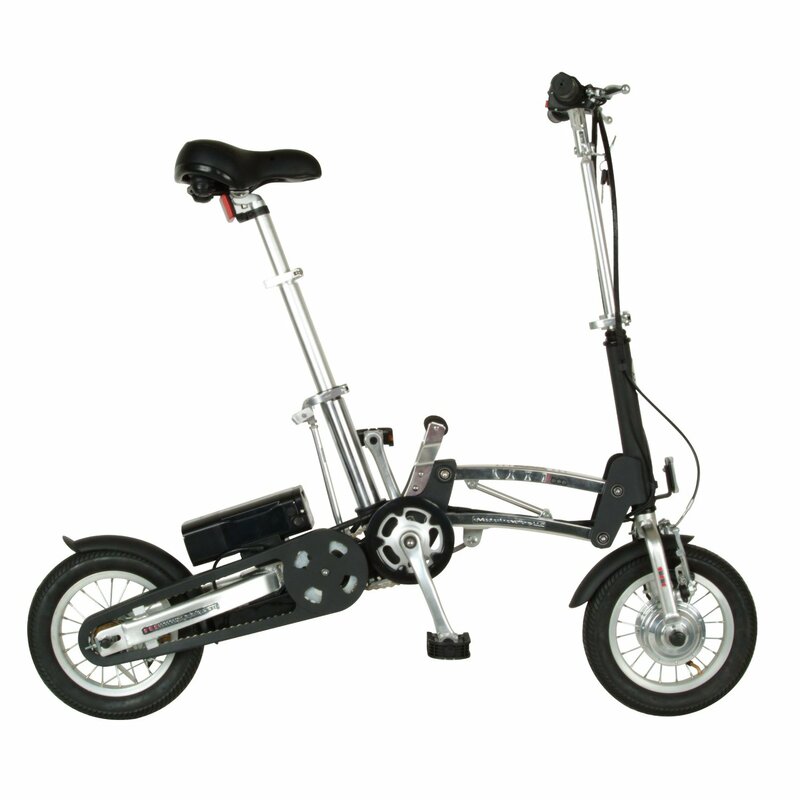 More specs of the Brompton Electric can be found here. The prices range from £2,595 to £2,755. The Tern Vektron is another great option when you want 20-inch wheels. 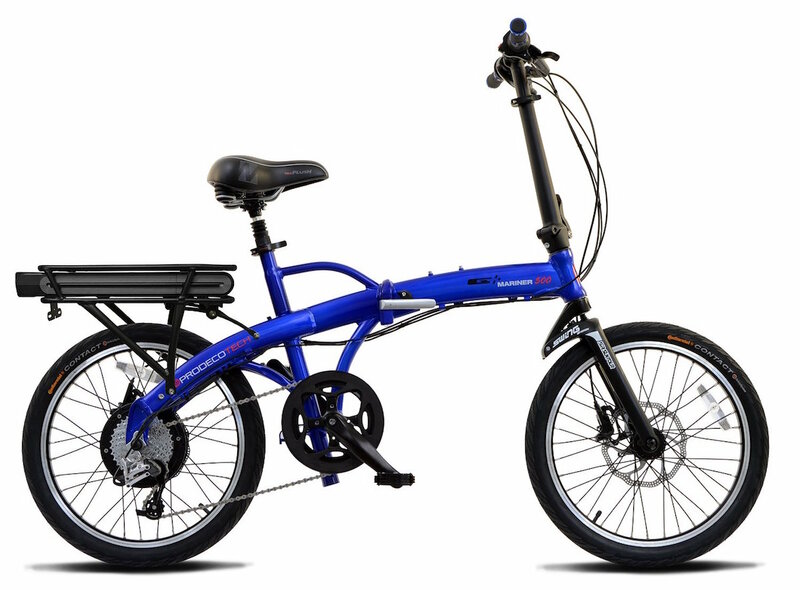 The best feature of the folding bike is the mid-mounted Bosch Active Drive 250W motor with 3 sensors working continuously to deliver a smooth ride. Besides, we also have a 400Wh PowerPack battery, Shimano Deore 10-speed drivetrain, and hydraulic disc brakes. The Vektron has the weight of 48.9 lbs and can be folded easily to a small package. The folder is priced at $3,400 in the US. This is a widely popular electric bike and the new Epik Sport Edition even got some upgrades like the 350-watt geared hub motor, a 7-speed Shimano drivetrain and a basic front suspension fork. What’s great about the Epik is that it offers 3 levels of pedal assist and the thumb throttle control, so you can switch between assist mode, throttle only or no assist. The top speed of the bike is 20mph. The 36V 9Ah Lithium-ion battery is hidden inside the 6061 Aluminum Alloy frame. A full charge takes around 4 hours and it can help you ride 20-30 miles in assisted mode. The bike weighs 42 lbs and folded dimensions are 35 x 24 x 17 inches. You can buy it in Black, White or Blue color. ProdecoTech was probably the most reputable folding electric bike manufacturer on Amazon. When I went shopping for my first bike, Prodeco bikes were always the best options. The new version of Mariner 500 has been vastly improved. Apart from the upgraded 48V 500W motor, it also features the Suntour Swing Shock fork, Avid DB1 Hydraulic brakes and SRAM XO Shifter & X9 Derailleur. It weighs 48 lbs and folded size is 36″ x 29″ x 16″. There were some complaints about the battery of the old v4 version and the issue has been fixed in the v5. ProdecoTech upgrades to the new rack and 36V 11.6Ah Samsung Cell battery. The distance per full charge ranges from 28 to 38 miles. The Mariner 500 also comes with a variable throttle, so you can use pedal assist depending on your needs. 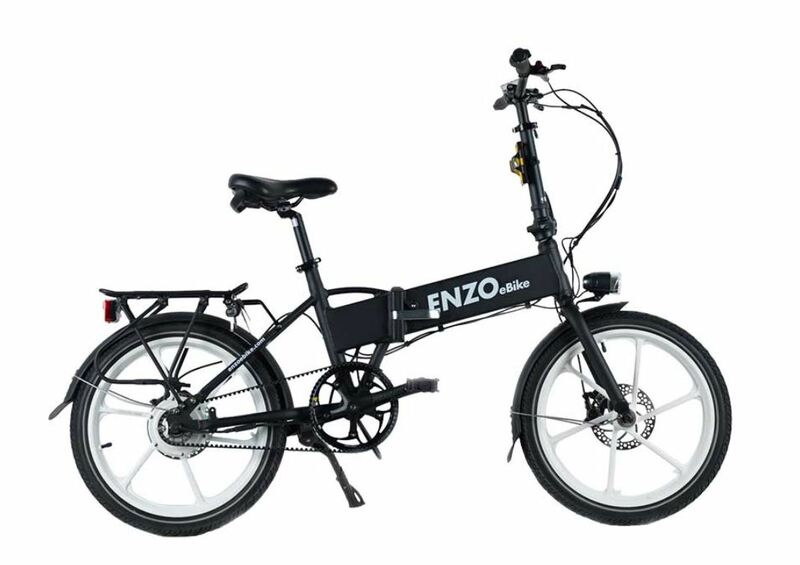 The Enzo bike shares a lot of features with the e-JOE bike, the names sound similar and even the design looks pretty much the same. However, there are some differences inside the hood. Notably, the Enzo comes with extra features like seat post pump, storage bag and you can get the glow-in-the-dark color. It has 5 levels of pedal assist and trigger throttle. However, the Enzo has some limitations like no suspension fork, besides, it is heavier at 44 lbs. The newest version has some great upgrades like the removable Samsung 36V 10.4A battery, 350W Brushless Rear Direct Drive to achieve up to 50 miles, new 160mm Hydraulic brakes with power cut-off when braking, and Shimano 7-speed drivetrain. 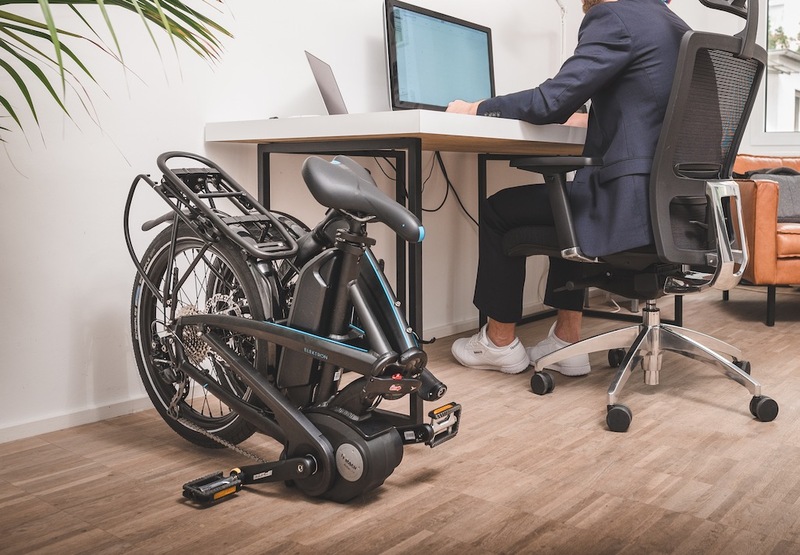 If portability is your important requirement and you find other bikes cumbersome, the e-Mazing Innovations is the lightest and smallest bike on the list. Unlike others using 20-inch wheels, the e-Mazing bike uses tiny 12-inch wheels. Its weight is just 35 lbs, it is easy to fold up and you can easily take it to the bus or subway. However, you will have to accept some compromises like lower top speed and reduced comfort. Anyway, this is a very well-built bike and it offers both pedal assist and throttle mode. You can also find fenders and chain protector to keep you clean when commuting to work. The estimated battery range is 20-30 miles depending on the terrain and the mode you use. What’s your favorite folding electric bike? Let us know is a comment below. Hello, I live in a small apartment and was wondering what type of folder you would recommend for me. I’ve recently retired and have health problems which include Diabetes 2, irregular heartbeat, and a weakened left leg from polio as a child. I would like to take the bike to the store, post office, around town to shop, and to pay bills. I would eventually like to travel up to 6 miles but for right now 3 would do. There are a number of mounds or hills and one steep one that I avoid by jumping in the car when I have an errand to run over there. Do you think battery powered electric bikes would be more suitable. It would make climbing a mound possible without having to demount and walk. Perhaps, there’s a non-pedelec that would work that you about which you know. I’m nearly 250 pounds and 5 feet 6 inches tall and quite out-of-shape. I would like to sit closer to the ground in case of a fall or injury, maybe out of fear, due to the weakened leg muscles. By the way I live in a tourist town that is well-known for its climate, the Boardwalk and its university-Santa Cruz, California. I’m not sure how many gears/speed the bike should have, especially for the purposes of climbing hills. Forgot to mention I’m 67 years old soon to be 68. Please provide me with a couple of choices you think might work. Don’t know if a full-size would be better but I like the stand-over position of a folder as I worry about that bar of the frame being there and complicating a fall. Your time and consideration of this matter is much appreciated. Thanks. I highly recommend you to buy an e-bike in this case. Its assistance mode will help you deal with steep inclines a lot easier, especially when you have health issues. I can climb hills effortlessly with most capable e-bikes. In case you want a low step-over frame, I’d recommend you the ProdecoTech Stride (https://amzn.to/2xn0MxB). It’s very comfortable and I know a 220lbs person riding this bike. I’d recommend extreme caution in this case. There are substantial risks that would be assumed by an inexperienced, out-of-shape, overweight, physically impaired senior citizen who begins riding any bike in town. Falling is likely getting up from underneath a heavy e-bike will be difficult even if uninjured. I wish I’d found RG’s query earlier! It’s good to know these different E-bike. These ones are really great! 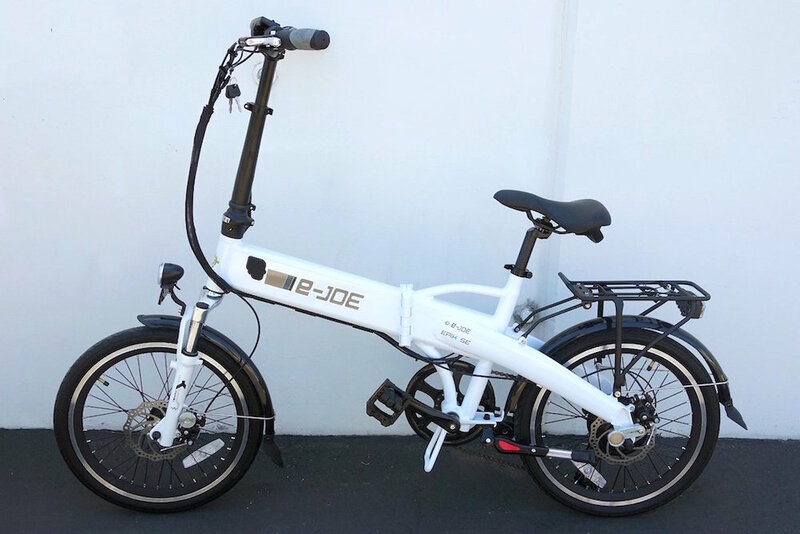 Is there a folding e-bike that would work for a taller guy (6’3″)? All of them will work. For instance, the Brompton fit 4’6″ – 6’8″ riders while the Tern fit 4’10” – 6’5″. I’ve seen many tall riders on those bikes. I ride a Brompton, but would like some help going up slopes. Which e-bike would you recommend for someone who wants to ride, and only use the battery to assist on slopes? Please recommend one that is fairly light. My current one weighs almost 25 lbs. What’s the suggestion between Prompton and Enzo eBikes? I like the Prompton concept getting folded the easy but what’s the more in regard to the ease of use with those electric model? A worthy selection of folding ebikes, but I’m a little surprised that Raleigh didn’t feature in the list. Have you guys tried their Stow E Way? That would definitely be in my top 5! Don’t buy an E Joe you’ll be sorry. I got a major run around from them and after returning the replacement they sent me I was stuck with $160.00 shipping expense that they never reimbursed me back for. Terrible customer service. These are cheep China products. I have a Tern Vektron now.